Without doubt, Cappadocia is one of the most unique regions in the world in terms of its geography featuring the most bizarre geological shapes such as fairy chimneys and colorful valleys. In addition, Cappadocia has one of the best sunsets on the planet. Therefore, there is a lot of outdoor activity options in Cappadocia other than Balloon Ride. Pick-up from hotel: The shuttle picks you up from your hotel and drives to the valley, where you will experience Cappadocia Quad Bike Tour. 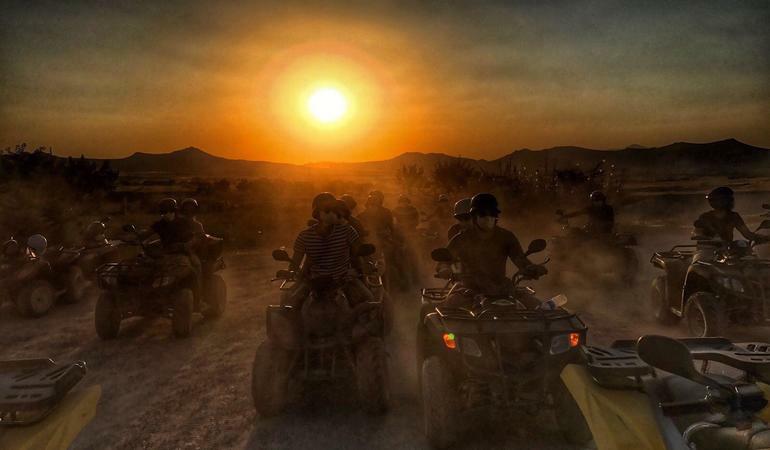 Ride quad bike on the surreal landscapes of Cappadocia: Riding quad bike on the surreal landscapes of Cappadocia during the sunset is a fabulous way to see this one-of-a-kind landscape. 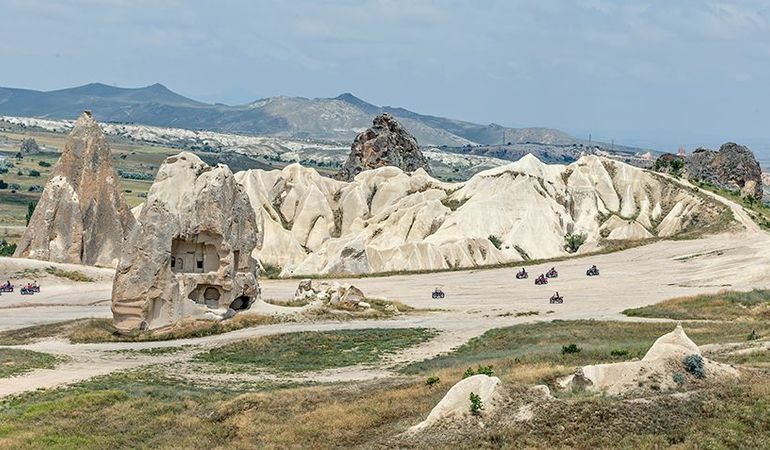 Ride on different valleys: In scope of the tour you will ride your quad bike on different Cappadocia valleys such as, Kiliclar Valley, Kizilcukur Valley, Rose Valley, and Love Valley. Get ready to getting dirty: At the end of the tour you might get dirty and dusty. Therefore, we recommend you not to wear your best clothes for Cappadocia Quad Bike Tour. 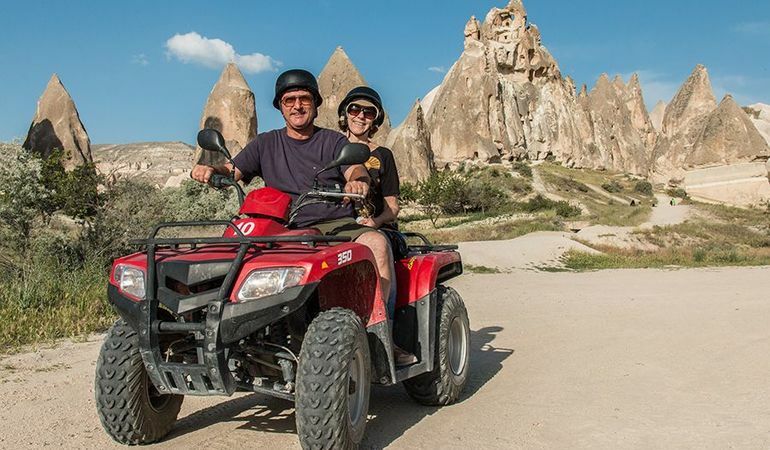 Safe and professional quad bike company: We are working with very professional outdoor-activities company operating in Cappadocia since early 2000's and they are the pioneers of quad bike tours in the region. Anyone who likes outdoor activities and quad bikes. People that want to make the most of their evenings and get the best view of Cappadocia. 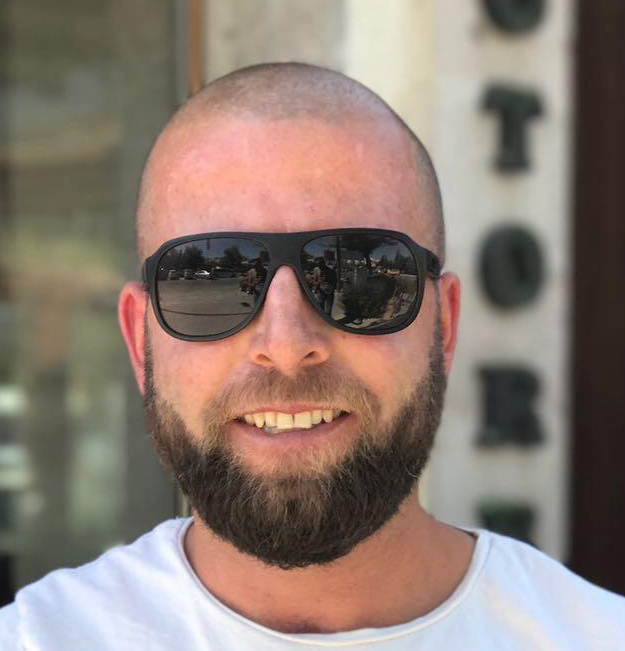 We put safety first and use the most professional and reputable quad bike company around.